The last time I was in Kapitolyo, I was trying to eat and say how the food tasted like. It wasn’t for the lack of manners, I know we’re not supposed to speak as we eat. I’m referring to my guesting stint as a reviewer for the TV show, Pop Talk. Anyway, I don’t frequent Pasig; I don’t have many friends in the area and personally, I find it hard getting to that city. 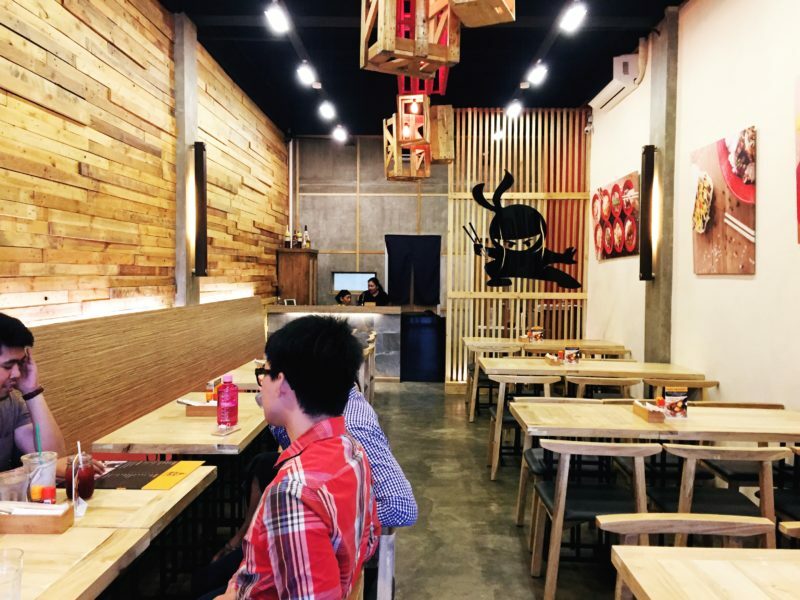 Then my friend, Jerro (GourManila) invited me and another friend of us, Arrianne (Travel Habeat) to a late lunch in a Japanese restaurant that may have changed my mind about traveling to Pasig. 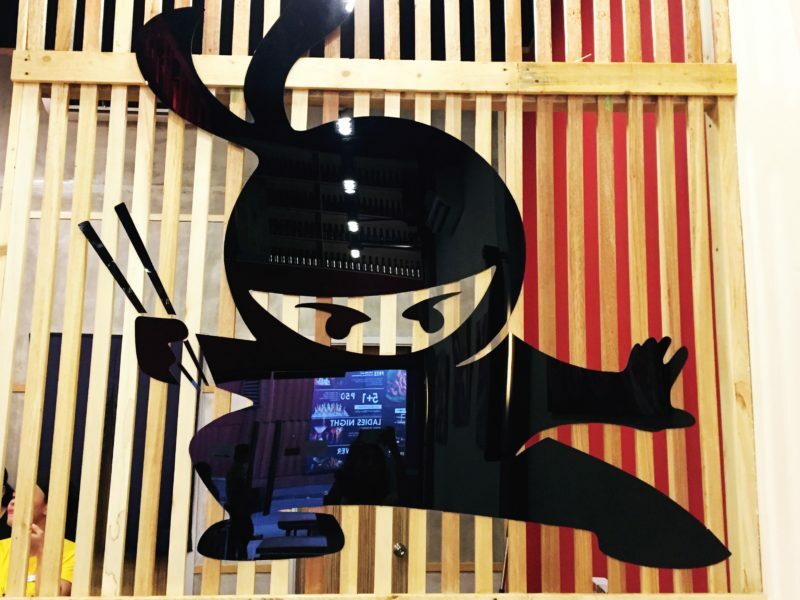 The place is called Don Bao where you can find the best tasting donburis and baos. I don’t know how to go there by commuting so just Uber, Grab, or taxi your way in the area. It’s not hard to find. 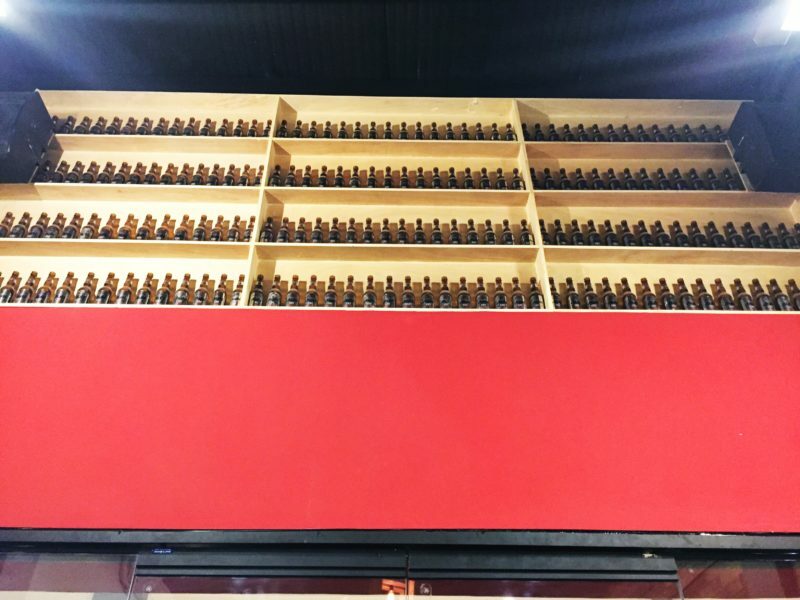 Just a small space with quirky interiors; rows of empty beer bottles are put on display, below the ceiling, a huge black ninja image over the wooden divider that separates the kitchen area, and decorative wooden crates hanging on the ceiling. I definitely dig the interiors; simple but creative. We were welcomed by three of the owners led by Kevin. These people are just around my age yet they have their own business, how impressive. And one thing that I appreciated most is that they stayed even after we were done eating to hang out and chat with us. Okay let’s get to the part where we talk about the food. 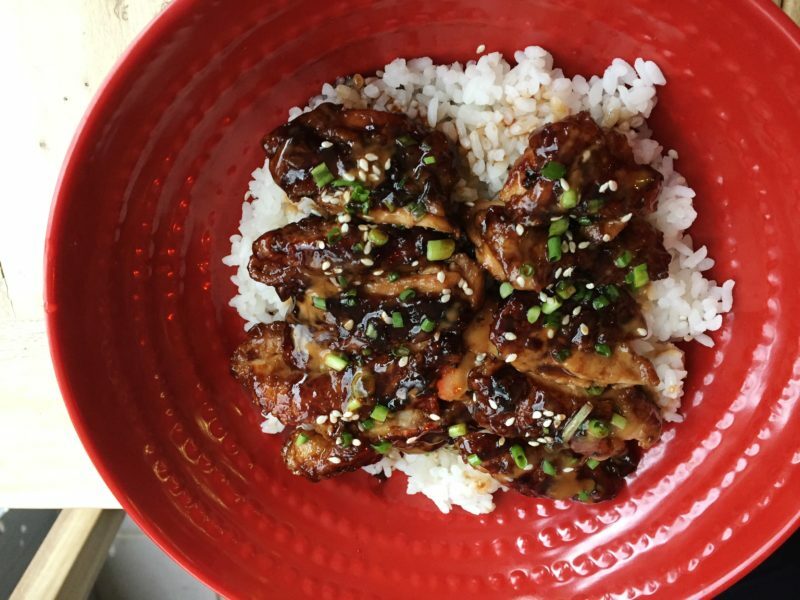 I hope you’re not hungry when you read this. Let’s start with the reason this place is called Don Bao; the bao offerings. 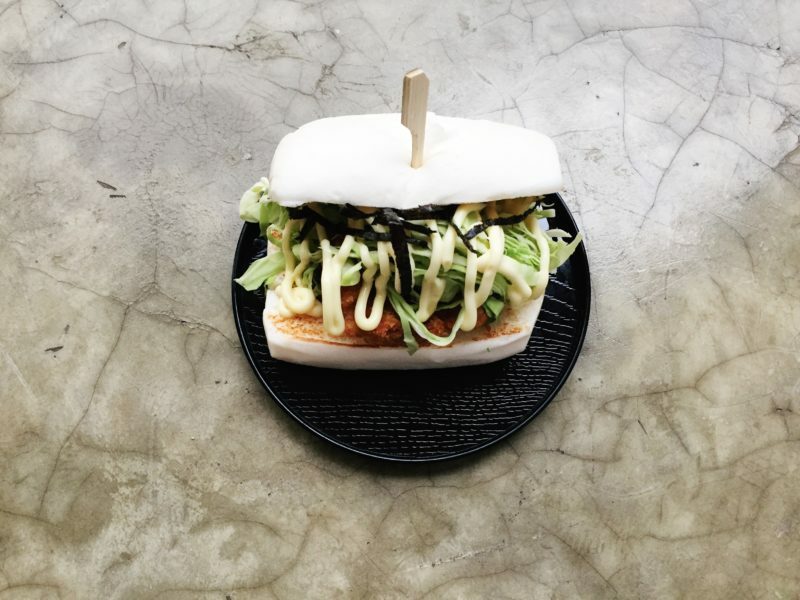 Bao is what we all know locally as “siopao,” the difference is, it’s not rounded and the stuffing is a lot more generous. 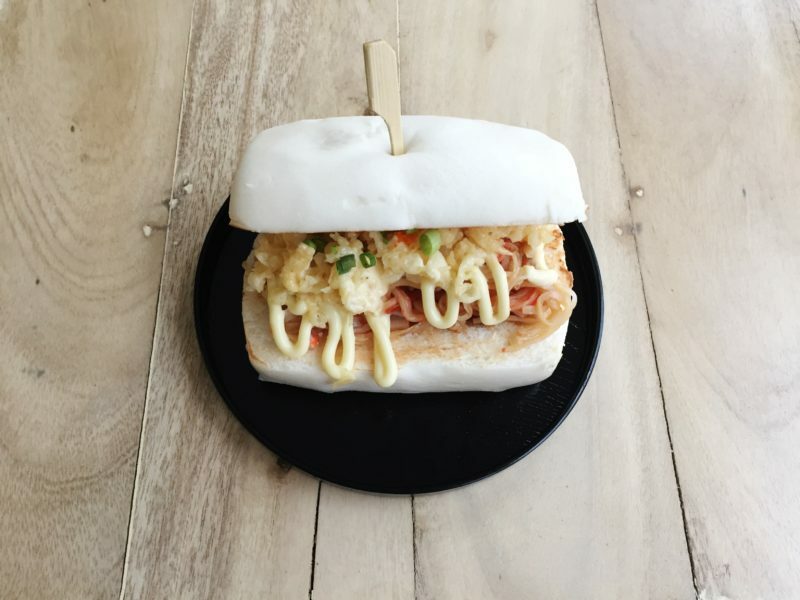 It’s basically an open-faced siopao. The baos are delicious and the bun itself is pretty thick. I thought it wouldn’t do if I wanted to have a lunch. I had the impression that it wouldn’t be satiating; I was wrong. In fact, just one bao was enough to make me feel full. The stuffing is very generous that I gave up all attempts to be dainty trying to use a knife and a fork and just went ahead and tackled that bao with my hands. Trust me, it’s a lot better to eat it this way. 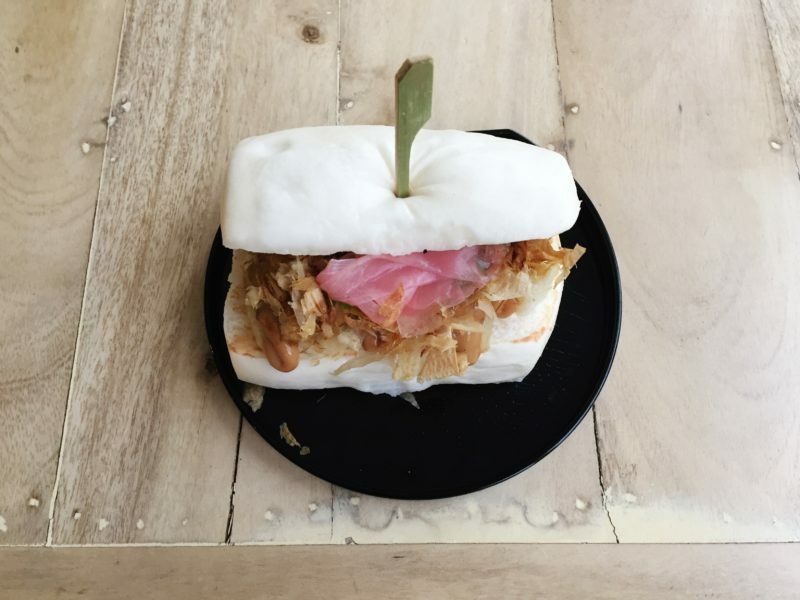 The Good Morning Bao, which name Jerro always mistakes for “breakfast bao,” is the most interesting of the lot, just because it has cornflakes. 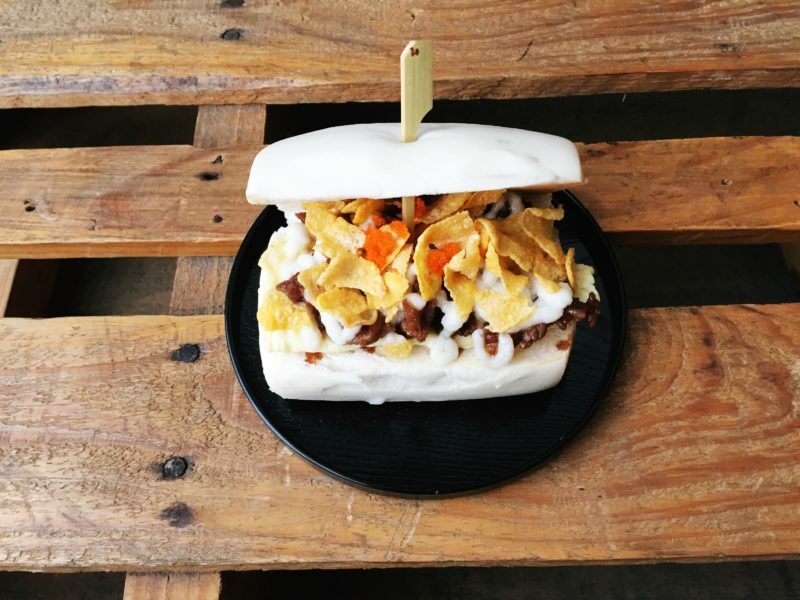 Seriously, have you heard of any siopao with cornflakes? I like the ingenuity in the tackling of flavors, even how they were named. 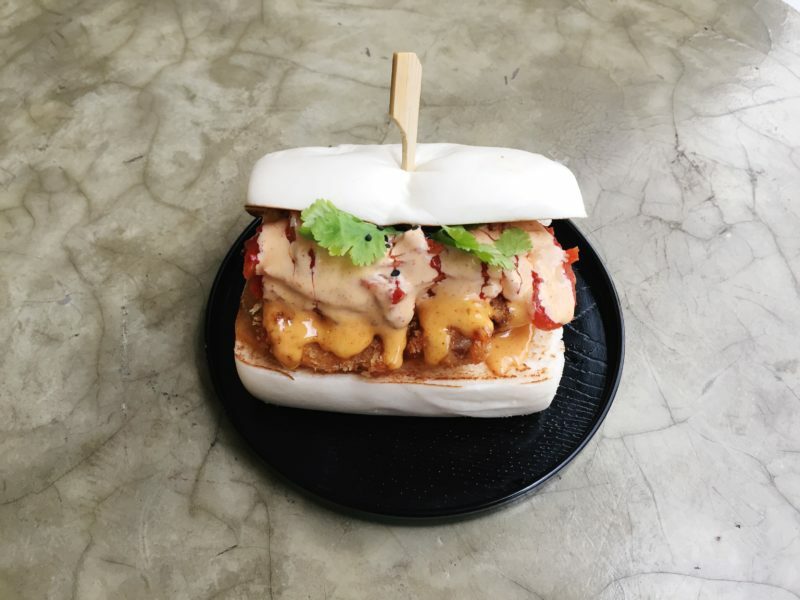 My top recommendation out of all the bao flavors are Crazy Bao, Fire Bao, and my personal favorite, Bao Chicka Bao Bao.. The reason I didn’t have much bao is because I almost finished the entire Special Tendon bowl. 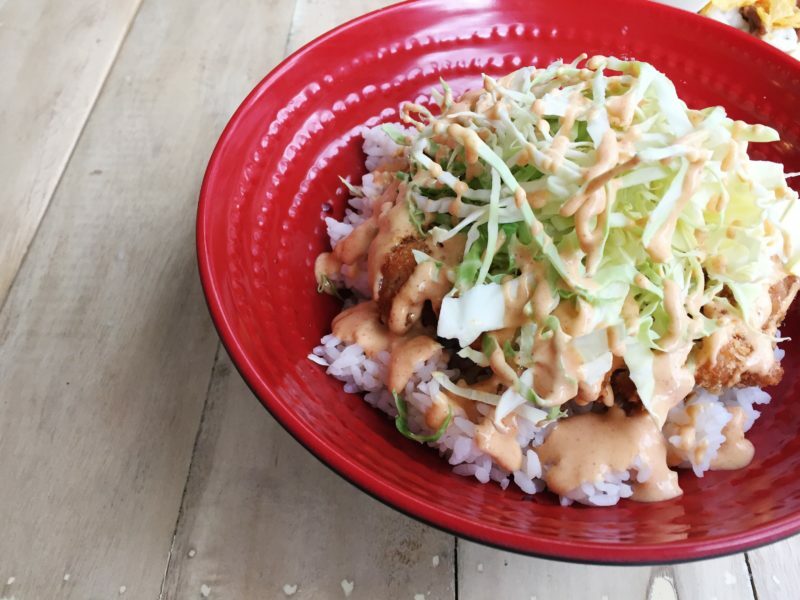 Not sure if it’s the tempura, not sure if it’s the secret sauce, but I loved it oh so much. Yes they use a special sauce, nope they didn’t share the secret of course. Try it to see what I mean. 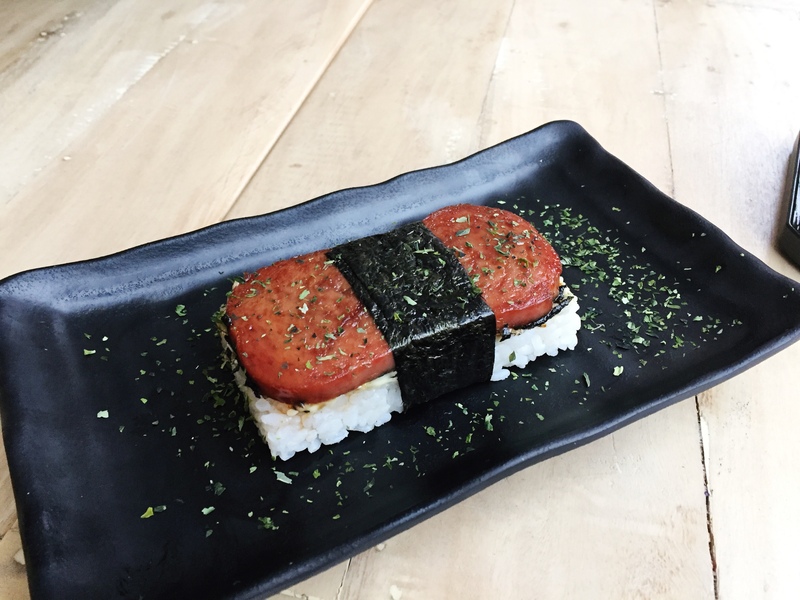 They don’t have sushi, but they have something that looks like one and it’s Spam Musubi (PHP 110 – USD 3.41). This is the first dish that I tried and the only thing that stopped me from having it all to myself is decency, lol. 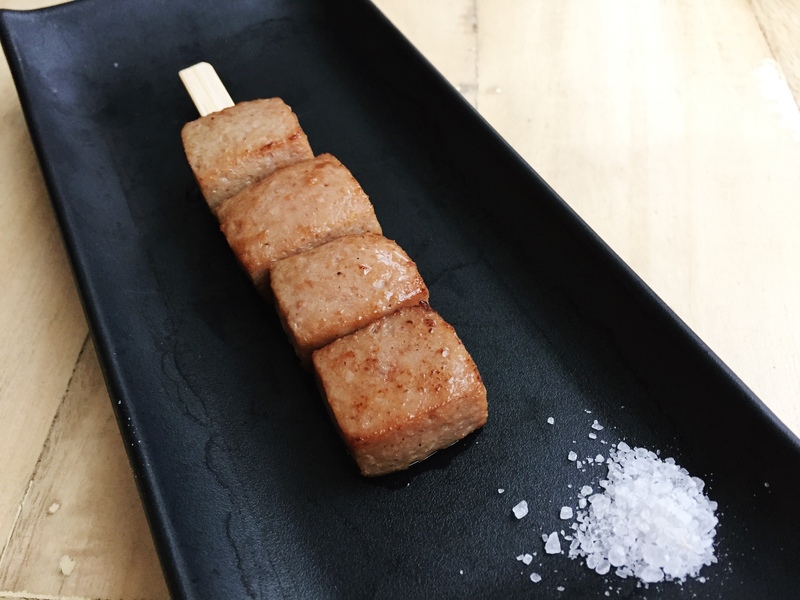 They don’t have betamax (or that Filipino grilled streetfood made from pig’s blood), but they have something that looks similar to it, Wagyu Beef Cubes. 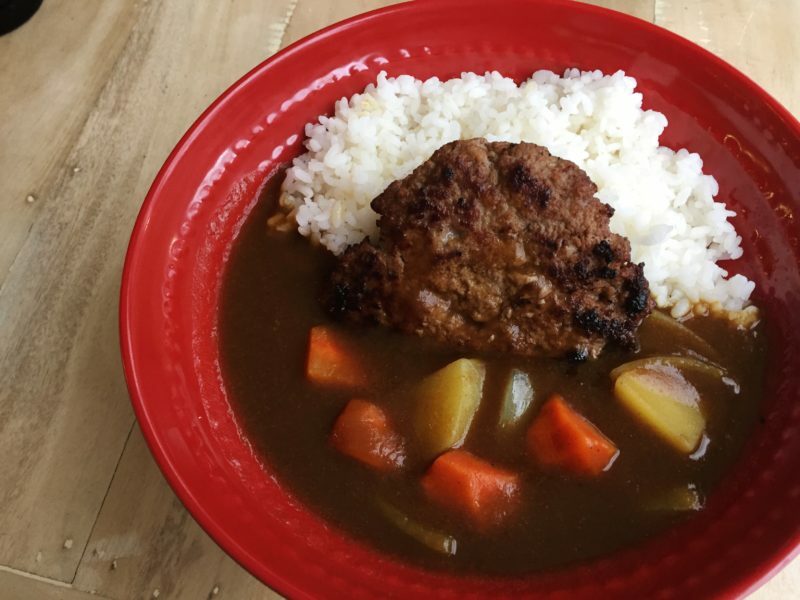 This one is the bomb, so delicious we practically had a secret war for it haha… Come on, it’s wagyu beef, you can never go wrong with wagyu. It’s juicy and oh so tender. And Don Bao is dedicated to its name because even with their desserts there’s bao. They found a clever way to do it, by frying ’em. 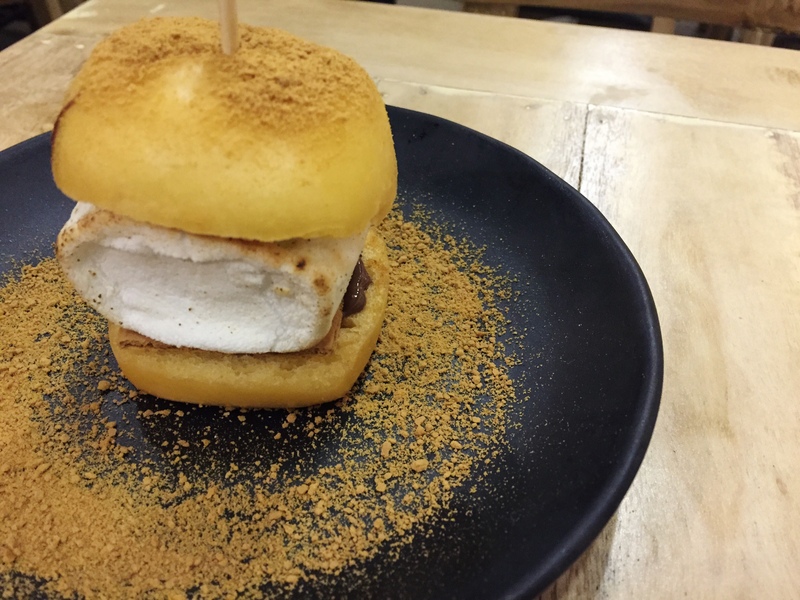 The result is two unique desserts; Fried Bao with Nutella S’mores (PHP 95 – USD 2.95) and Fried Bao with Milo and Condensed Milk. By the end of our meal, the crew arranged some glasses of beer on the table. On top of the glasses, they put chopsticks to mount shot glasses filled with sake. It was quite a show that all other customers in the resto glanced curiously. We readied our camera for the spectacle that was about to unfold. Kevin said that we should drink it right away, bottom’s up. I was like bottom’s up? I highly doubt I could do it because that glass is tall and that’s beer, I’m not exactly a fan of beer. But anyway, Kevin pound his fist on the table knocking the chopsticks off, and dropping the shot glasses inside the beer-filled glasses. Kevin and the crew said something in Japanese and of course I’ve no idea what they said. Then we picked our glasses and drink ’em. Everybody finished their beer but me. I uttered my apologies to Kevin for being a wimp. Beer and I, we’re not really friends you know. Wow, I love how they name this beanery cause it seemed so unique and can easily catch my attention. An open faced siopao with a luscious filling is something I should try. I also love the fact that they have a boatload of food choice. 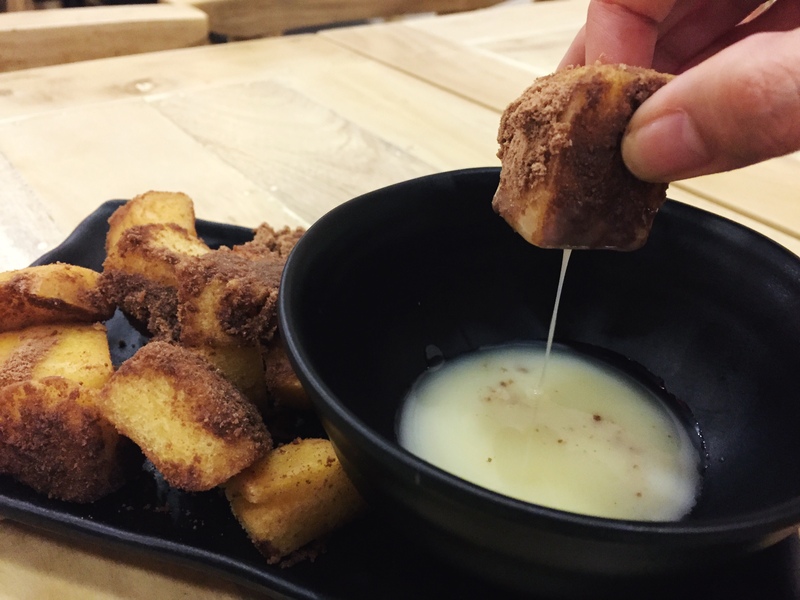 The fried bao is tempting and looks crunchy. Anyway, will surely visit this resto If I get the chance soon. I would love to have a cup of beer as well and have some good time. The place is really comforting to look at. Yummm. I was sooo drawn to the top photo with the food and flat lay! Everything looked so goooood. Will have to try this place out when I’m in the area. Looks like a lot of fun too hehe. 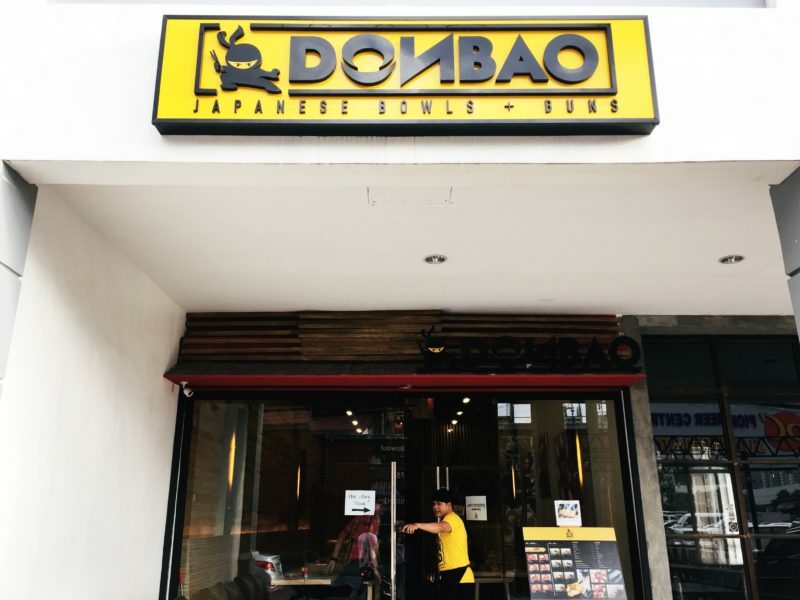 We had the chance of trying out Don Bao during last year’s Ultimate Taste Test in SM Aura. They didn’t have a store back then, but they let us try out the Piggy Bao Ride. 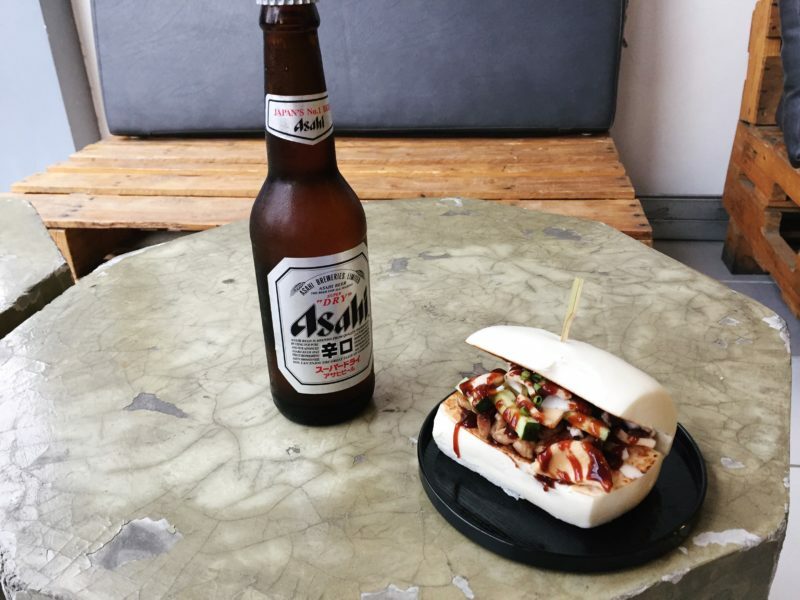 I was really impressed on how they were able to mix the Bao and other ingredients perfectly. I’m not a rice person, so if ever I will be visiting Don Bao, I will just splurge myself on the Baos. You know I live in Pasig (near Robinsons Galleria) but have never really explored the restaurants in Kapitolyo. I’ve had several resto invites, too, but my schedule got in the way. Sigh! 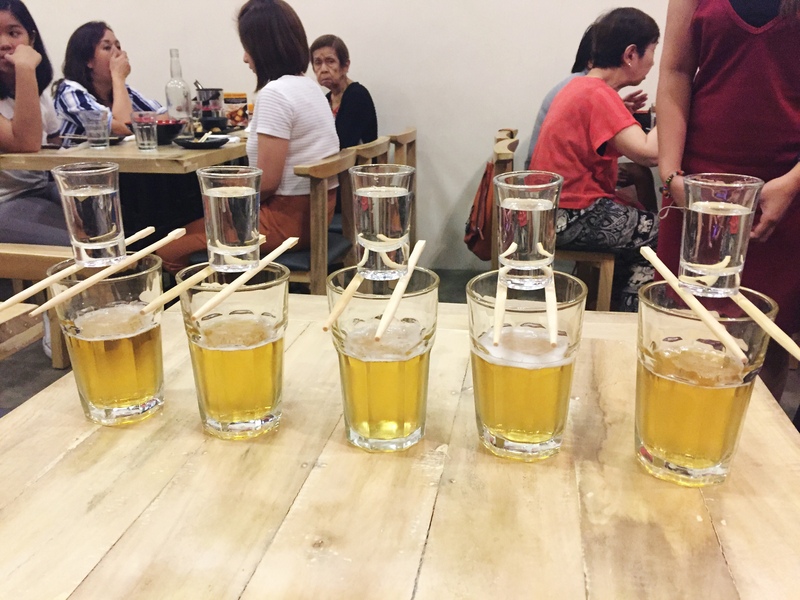 Your blog feature here reignited my desire to taste the gastronomic delights in the area. 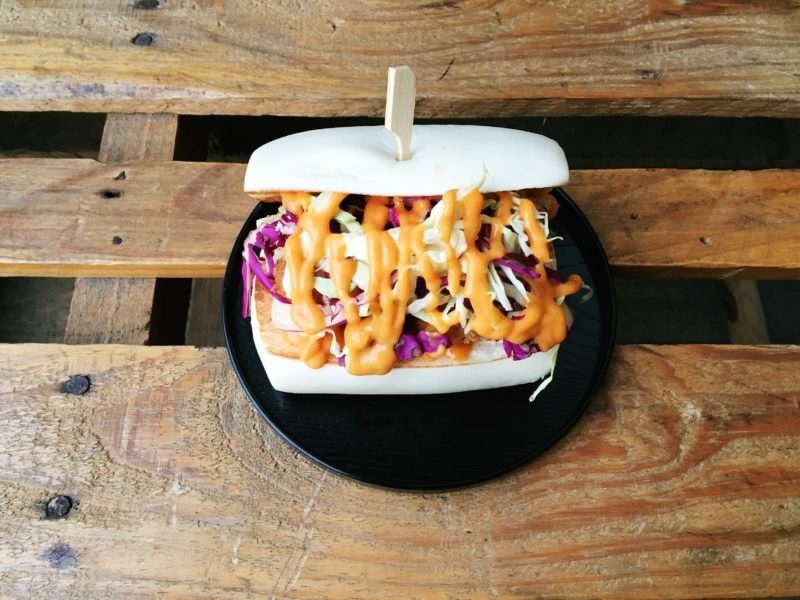 I would love to try Don Bao’s Bao Chicka Bao Bao and Go Fish! Bao.